Please visit the Awards website. Student Awards, as part of the Office of the University Registrar, plays a key role in supporting the University’s mission. Our goal is to ensure that all students have the opportunity to attend Queen’s, regardless of their personal financial circumstances. To achieve this, a variety of funding sources may be required. The Student Awards Office is responsible for administering all merit-based undergraduate funding and all need-based funding for both undergraduate and graduate students. Merit-based (scholarship) funding recognizes and rewards students for their achievement, both academic and extra-curricular. Need-based funding (bursaries, awards, work study, loans and grants) is disbursed to students on the basis of demonstrated financial need. Listed directly below is general information as it pertains to the various student financial assistance programs administered by the Student Awards Office. For more detailed information please refer to either the Student Awards website or contact the office. Awards Officers are available throughout the year to provide financial advising on budgeting and the various options available to assist students with financing their Queen’s education. The federal and provincial governments provide student financial assistance for Canadian citizens, permanent residents, and protected persons studying at the post-secondary level. This assistance is intended to supplement student and family resources and recipients must demonstrate financial need. This assistance is offered in the form of repayable loans and in some cases may also include a limited amount of grant or bursary funding. The appropriate provincial or territorial authorities will evaluate student applications and will provide funding. Funding options, eligibility criteria and regulations vary by jurisdiction. Students from Ontario will access government student financial assistance through the Ontario Student Assistance Program (OSAP): osap.gov.on.ca. Students from a province or territory outside Ontario must apply for government student financial assistance through their home province or territory. This program is designed to assist disabled students with disability-related costs of equipment and/or services associated with their participation in post-secondary studies. Students must first apply for funding from their applicable government student financial assistance program for the current academic year and must demonstrate financial need. Students must also be registered with the Health, Counselling and Disability Services Office at Queen’s University. The OSAP Child-Care Bursary is provided to eligible Ontario students who, in relation to their participation in post-secondary studies, incur child-care costs for three or more children. Ontario students with low income and enrolled in part-time studies (as defined by the government - maximum 59% of a full course load in each term of study) due to family responsibilities or other personal circumstances may be eligible. Students must be enrolled in a program leading to a degree or diploma and generally cannot have a previous post-secondary degree or diploma. Canadian citizens and permanent residents with low income and enrolled in part-time studies (as defined by the government - maximum 59% of a full course load in each term of study) may be eligible. Students must be residents of a province or territory that participates in the Canada Student Loans program. To qualify for the CSG students must be studying part-time due to family responsibilities or other personal circumstances. Queen’s University and the Government of Ontario fund this program. The objective is to provide an opportunity for students in financial need to receive priority for certain part-time jobs, generally on-campus, during the academic terms. Applications for the Fall-Winter academic session are available in May and applications for the Spring-Summer academic session are available in February. Queen’s University bursary assistance is granted after the student’s own financial contribution to the cost of his/her education, parental assistance, government aid assistance, or a bank line of credit have been exhausted. Financial need is the primary consideration in the granting of a bursary. In order to be considered for the majority of Queen’s bursaries, including the ones specifically pertaining to Engineering and Applied Science students, students need to complete a single General Bursary application form (unless otherwise noted in the terms of the awards), which is available from the Student Awards website. The deadline for this application is 31 October. If a student is not granted an Engineering and Applied Science bursary or award he/she is still eligible to receive General Bursary funds. Funds will be distributed at the beginning of Winter Term. Bursaries and awards are paid to the student’s tuition account if a balance is owing, and any remaining funds are paid by cheque or electronic funds transfer. The values of the bursaries and awards are variable, unless otherwise noted. For complete terms of these, and other named bursaries and awards see the Student Awards website. Short-term loans (of 90 days or less) may be granted in emergency situations if a full-time student is experiencing temporary cash-flow difficulties and can provide satisfactory evidence that he/she will have sufficient resources to repay the loan on or before the due date. Short-term loans are approved on the basis of financial need to assist students in meeting those expenses normally incurred in support of attendance at the University during the current academic session. 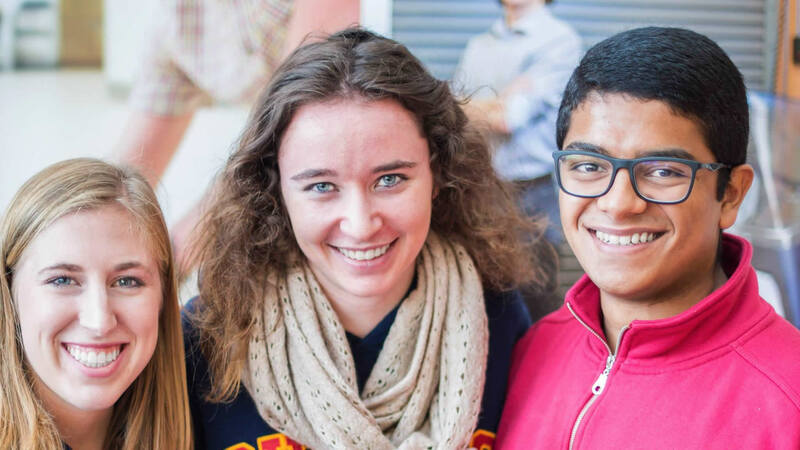 Queen’s upper-year scholarships are generally available to full-time students in their respective faculty/school and who will be returning to full-time studies in the year following the award. For the most part, separate applications are not required. Candidates will be considered for those awards for which they are eligible in competition with all other qualified candidates. In instances where a scholarship application is required, specific instructions about the application process are given in the description of the award. In order to be considered for the majority of Queen’s bursaries, including the ones specifically pertaining to Engineering and Applied Science students, students need to complete a single General Bursary application form (unless otherwise noted in the terms of the awards), which is available from the Student Awards website at http://www.queensu.ca/studentawards/. The deadline for this application is 31 October. If a student is not granted an Engineering and Applied Science bursary or award he/she is still eligible to receive General Bursary funds. Funds will be distributed at the beginning of Winter Term. Bursaries and awards are paid to the student’s tuition account if a balance is owing, and any remaining funds are paid by cheque or electronic funds transfer. The values of the bursaries and awards are variable, unless otherwise noted. For complete terms of these, and other named bursaries and awards see the Student Awards website. Awarded annually to students entering the second year of the Mathematics and Engineering program or the Engineering Physics program who have obtained First Class standing. Two awards are available. Founded by graduates in memory of William Coombs Baker, formerly the Robert Waddell Professor of Experimental Physics at Queen’s. Awarded annually to the student with the highest standing in APSC 111 . Established under the terms of the will of R. Bruce of Quebec and awarded annually on the basis of first-class standing to students entering second year. The award is renewable in third and fourth year providing satisfactory standing is maintained in the Faculty of Engineering and Applied Science. Two awards are available. Established by friends and family in memory of Eric Davis, B.Sc. (Eng) 1950, former member of the Board of Trustees of Queen’s University. Awarded on the basis of standing on year’s work to a student entering second, third or fourth year in any program in the Faculty of Engineering and Applied Science. Given by the Engineering Society for highest standing in first year Chemistry. Founded by Science graduates, for standing in Mathematics. Established by Lorne C. Elder, B.Sc. 1942, and awarded on the basis of academic excellence to students entering second, third or fourth year in the Department of Mechanical and Materials Engineering. Established by Alban H. Norton, P.Eng. B.A. (Hons.) ‘36, in memory of J.E. Hawley, former Head of the Department of Geological Sciences. Awarded on the basis of academic excellence to a student registered in the second year of either the Geological Engineering program in the Faculty of Engineering and Applied Science or an Honours B.Sc. program in the Faculty of Arts and Science with a concentration in Geological Sciences. The candidate will be nominated by the Head of the Department of Geological Sciences and Geological Engineering. Established in memory of H. Janzen who taught in the Department of Physics at Queen’s until his death in 1988. Awarded annually to the student entering the second year of the Engineering Physics program who attained the highest standing in the first year physics courses in Engineering and Applied Science. Three or more scholarships are awarded, on the recommendation of the Department of Mathematics and Statistics, to undergraduate students majoring in Mathematics or Statistics. One of these shall be awarded to the student entering the fourth year of the Mathematics and Engineering program, or of an honours program with a Mathematics major, having the highest standing in the mathematics courses of the first three years and an overall first class average. Founded in memory of the late Annie Bentley Lillie. A number of book prizes to be awarded each year on the recommendation of the Department of Mathematics and Statistics to students with high standing in any first year calculus courses. Established by the family, friends and fellow-students of Jacob Daniel Malomet, who died in 1978 during his first year at Queen’s. The award is presented annually to a first year Engineering and Applied Science student for general proficiency in term-length courses of the fall term. Established in memory of Andrew M. McMahon Sc. ‘59, a former president of the Engineering Society and member of the Board of Trustees. Awarded annually in Applied Science on the basis of excellent academic achievement to a first year student in the top ten percent of the class who is entering second year. The recipient should demonstrate strong interpersonal skills, with a commitment to excel in all aspects of university life, and high personal standards. The recipient will be chosen by a Selection Committee, to be chaired by a member of the family, consisting of the Director (Program Development), one member of the business community and a family member. Candidates should submit a letter of application with supporting documents to the Faculty of Engineering and Applied Science by 31 March. Given by Mr. A.J. McNab, this scholarship is awarded for standing in APSC 151 , no failed courses. Open to students proceeding in Geological or Mining Engineering. Established March 2010 in recognition of James L. Mason, an Associate Dean in the Faculty of Applied Science from 1996 to 2008, who has been instrumental in establishing the program in team-based, project-based learning in the First Year which is now an integral part of the Engineering and Applied Science curriculum. The cup recognizes Dr. Mason’s outstanding leadership, education insight and administrative skill in developing and implementing the Program. Communicate their work both in writing and oral presentation in such a way that the principles guiding their choices are clear to both technical and non-technical audiences. Founded by Dr. W. Moffat of Utica, N.Y., for second highest standing in APSC 131 and APSC 132 . Established under terms of the will of W.W. Near of Toronto, for standing on year’s work. Founded by G. Patton in memory of his wife and himself, for standing on year’s work. Established in April 2007 by Polycorp Ltd. in recognition of Polycorp Ltd.’s Manager, Mining Products, Pramod Kumar, P.Eng. and in memory of his late father, Dr. Jiwan Lal Gupta. Awarded on the basis of academic excellence to a student entering second, third or fourth year of the Mining Engineering program in the Faculty of Engineering and Applied Science. Established by Major James H. Rattray, M.C. 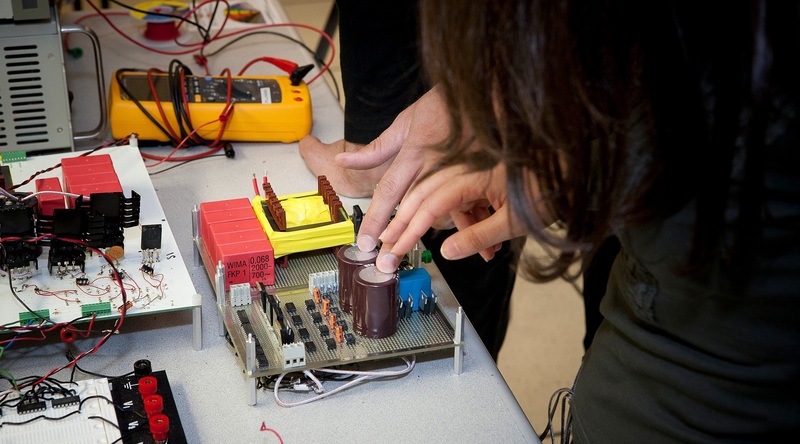 Several scholarships are awarded annually on the basis of academic merit to students entering the second, third and fourth years of programs in the Faculty of Engineering and Applied Science. To be awarded annually to a deserving student who enrolls in a second-year program leading to an honours B.Sc. degree with a concentration in Geological Sciences in the Faculty of Arts and Science, or who registers in the second year of the B.Sc. Geological Engineering program in the Faculty of Engineering and Applied Science. Maintained by the class of Science ‘41 in memory of Mr. J.O. Watts, for standing on year’s work. Maintained by the Class of Science ‘45 as a memorial to members who gave their lives in World War II and awarded for standing on year’s work. Two awards are available - one for standing on the first year’s work and the other for standing on the second year’s work. Maintained by theClass of Science ‘46 as a memorial to members who gave their lives in World War II and awarded on the basis of academic excellence to a student entering second or third year in the Faculty of Engineering and Applied Science. Awarded at the beginning of the second year of the Mining Engineering program for general proficiency and renewable in the third and fourth years, provided satisfactory standing is maintained. Estalbished in January 2010 by a bequest from the Estate of Phyllis J. Smart and awarded on the basis of academic excellence to students entering second, third or fourth year in the Faculty of Engineering and applied Science. Selection will be made by the Engineering and Applied Science Operations Committee (Scholarships). Established in May 2006 by Stantec Consulting Ltd., and awarded to a full-time student entering the second or third year of the Civil Engineering program in the Faculty of Engineering and Applied Science on the basis of academic excellence and involvement in extracurricular activities specifically related to the Department, Faculty, or the University. Application must be submitted by letter to the Head of the Department of Civil Engineering by 31 March. Established by the family in memory of Ho Min Tai, Sci ‘83, who died tragically when Korean Air Lines Flight 007 was shot down on 1 September 1983. Awarded on the basis of standing in first year to an international student who is studying Electrical Engineering or Computer Engineering on a student authorization or a student visa and is subject to the payment of higher tuition fees. The scholarship will be renewed in the third and fourth years provided honours standing is maintained. Founded by Science ‘90 in memory of Adam Wallgren and awarded to a first year engineering student who through his/her kind actions and friendly disposition eased the rigors of day-to-day life in first year. Written nominations should be submitted to the Engineering Society no later than 15 February. The recipient shall be selected by the Engineering Society Awards Committee, in consultation with the Dean, and awarded at the Engineering Society’s Annual Retreat. Established in October 2000 by Mrs. Evelyn Warren, in memory of her husband, George Thomas Warren, B.Sc. (Eng.) 1938. Awarded on the basis of academic excellence to full-time students entering second year of the Computer Engineering program in the Faculty of Engineering and Applied Science. Established by a bequest from the estate of Morley E. Wilson, and awarded on the basis of standing at the end of the first year to a student entering the second year of a B.Sc. program in Geological Engineering or an Honours B.Sc. program with a concentration in Geological Sciences. The award is in two parts, one-half on entrance to the second year program and one-half on entrance to the third year program, provided that the student maintains an average of at least 75 percent. Established by The Kingston Chapter of the American Society for Metals to provide an annual scholarship to a full-time student entering the third year of the Materials Option in the Mechanical Engineering program in the Faculty of Engineering and Applied Science. Awarded to the student with the highest cumulative average. Founded by Agnes Moreland Baker. Two scholarships awarded annually to the students in the Faculty of Arts and Science or Engineering and Applied Science, obtaining the highest and second highest standing in the geology courses of the first and second years of their respective programs. These scholarships are open only to students taking a program leading to an honours B.Sc. degree with a concentration in Geological Sciences in Arts and Science or to a B.Sc. in Geological Engineering in Engineering and Applied Science. Established in May 2006 by Alice J. Brown in memory of her husband, Donovan Brown, B.Sc. (Engineering Chemistry) 1949, and awarded on the basis of academic excellence to student(s) entering the third or fourth year of any Engineering program in the Faculty of Engineering and Applied Science. Selection will be made by the Engineering and Applied Science Operations Committee (Scholarships). Established by Orville and Carmel Brown and awarded to a student in any year of the Engineering Physics program on the basis of academic excellence. The recipient must be a Canadian citizen or landed immigrant, and if possible, a resident of Lennox and Addington, Frontenac or Leeds and Grenville counties. Selection will be made by the Engineering Physics Department. Established in September 2008 by the family of Dr. Erwin Buncel, a distinguished professor of organic chemistry in the Department of Chemistry since 1962, in memory of Ignacz, Irena and Marta Buncel. Awarded to a student in an Honours Chemistry or Environmental Chemistry program (Faculty of Arts and Science), or Engineering Chemistry program (Faculty of Enginering and Applied Science), entering third year with the highest combined average standing in either CHEM 222 and CHEM 223 (Arts and Science), or ENCH 222 and ENCH 245 . Established in February 2006 by Hugh Cameron, B.Sc. 1973, and Heather Hume, B.A. 1972, M.D. 1978, to provide an award on the basis of academic excellence to students entering third or fourth year of any program in the Faculty of Engineering and Applied Science who has applied their engineering knowledge and/or techniques in an innovative manner related to non-traditional engineering fields. Nominations may be made by faculty members or students should apply by letter, with attached resume, to the Faculty of Engineering and Applied Science by 1 October. Established in June 2014 by the estate of Harold M. Cave, B.A. 1925, M.A. 1926 and awarded on the basis of academic excellence to students in ay undergraduate year of an honours degree in Physics or Astronomy in the Faculty of Arts and Science or an honours degree in Engineering Physics in the Faculty of Engineering and Applied Science. Awarded to students for the purpose of attending the Canadian Undergraduate Physics Conference or other equivalent conference. Funds are to be used to cover conference fees and travel related expenses. Selection will be made by the Scholarship Committee of the Department of Physics, Engineering Physics & Astronomy. Applicants are to submit a letter of application to the Department of Physics, Engineering Physics & Astronomy by 30 September. Established in October 2012 by ConeTec Investigations Ltd. and awarded to students registered in second or third year in any undergraduate academic plan in Civil Engineering, Mining Engineering and/or Geological Engineering in the Faculty of Engineering and applied Science. The student recipient must have demonstrated leadership, curiosity and independent thinking, and have indicated a desire and suitability to pursue fieldwork and field-based research. A letter of application, along with a one to two page submission outlining their interests and engagement in geotechnical engineering, for example, through courses taken, co-curricular activities, and/or summer employment, is to be submitted to the Faculty of Engineering and Applied Science by 1 February for selection by the Operations Committee (Scholarships). Recipients will also be invited to apply for a paid summer internship experience for a period of 12-16 weeks at one of ConeTec’s North American field operations; acceptance of employment is not a condition of this award. Established in October 2014 by ConeTec Investigations Ltd. and awarded on the basis of academic achievement to undergraduate students in second or third year of the undergraduate program in Mining Engineering in the Faculty of Engineering and Applied Science. The student recipient must have demonstrated leadership, curiosity and independent thinking, and have indicated a desire and suitability to pursue fieldwork and feild based research. A letter of application, along with a one to two page submission outlining their interests and engagement in geotechnical engineering through courses taken, co-curricular activities and/or summer employment, is to be submitted to the Faculty of Engineering and applied Science by 1 February for selection by the Operations Committee (Scholarships). Recipients will also be invited to apply for a paid summer internship experience for a period of 12-16 weeks at one of ConeTec’s North American field operations; acceptance of employment is not a condition of this award. Established in February 2010 to recognize the industrial practice of engineering chemistry, as embodied by the DuPont Industrial Research Chair held by Dr. Warren Baker from 1985-1995 in the Department of Chemistry at Queen’s. Awarded to a student entering third year of the Engineering Chemistry program in the Faculty of Engineering and Applied Science on the basis of academic excellence in the second year of the Engineering Chemistry program, who does not hold a scholarship of greater value from Queen’s University. Selection will be made by the Operations Committe (Scholarships) of Engineering and Applied Science on the recommendation of the Head and Chair of Undergraduate Studies in the Department of Chemical Engineering. Given by Mr. Isaac Cohen for standing on year’s work. Open to candidates in Civil Engineering. Established in December 2005 from the estate of Ellen Harcourt Boyd in memory of her husband H. Arnold Cowan. Awarded on the basis of academic excellence to students entering the third or fourth year of any Engineering program in the Faculty of Engineering and Applied Science. Selection will be made by the Engineering and Applied Science Operations Committee (Scholarships). Details of this award are given in the section on First Year Awards. Established in October 2006 by Parker & Associates Inc. and awarded on the basis of academic excellence, demonstrated initiative and leadership, to students entering the third or fourth year of studies in the Faculty of Engineering and Applied Science. Students in second or third year of studies submit their applications to the respective Head of their Department by 31 March. Selection will be made by Faculty of Engineering and Applied Science Operations Committee (Scholarships). Founded by Mrs. J.J. Denny and by the Classes of ‘03-‘06 and other friends of James Denny, M.Sc.’21, for standing on year’s work. On the recommendation of the Department of Mining Engineering, two awards are made, one in the ‘mining option’ and the other in the ‘mineral processing option’, with preference given to students in their second year. Established from the sale of gold nuggets donated by Mrs. J.J. Denny in memory of James Denny, M.Sc. ‘21, and awarded on the basis of academic performance in the second year to two students entering the third year of a program in Geological Engineering. The scholarships are awarded on the recommendation of the department and students entering fourth year may be chosen if there are no suitable candidates entering third year. The will of C.W. Drury, B.Sc. 1909, provides for this scholarship. Open to students entering third or fourth year of the Materials Option in Mechanical Engineering. Awarded on the recommendation of the Department of Mechanical and Materials Engineering mainly for academic excellence but consideration will be given for evidence of additional traits desirable in a professional engineer. Details of these awards are given in the section on First Year Awards. Established in January 2012 by Endeavour Silver Corp. and awarded on the basis of academic excellence to students entering third or fourth year in the Geological Sciences program in the Faculty of Arts and Science, or the Geological Engineering program in the Faculty of Engineering and Applied Science. Selection will be made by the Undergraduate Scholarship Committee in the Department of Geological Sciences and Geological Engineering. Given by the Engineering Society to the student in second year Engineering who has exhibited the most ability in non-athletic extracurricular leadership and activity. 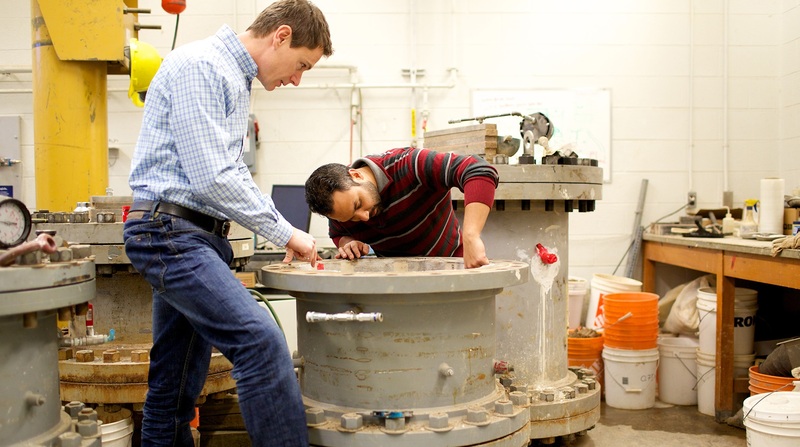 Recipient is chosen in consultation with the Engineering Society Awards Committee. Established in September 2009 by Fluor Canada Ltd. Awarded on the basis of academic excellence to full-time students who are Canadian citizens or permanent residents entering the third or fourth year of the Chemical Engineering, Electrical and Computer Engineering, Mechanical or Civil Engineering program in the Faculty of Engineering and Applied Science. Awarded on the recommendation of the Department of Mathematics and Statistics to a student entering the third year of the Mathematics and Engineering program, based on academic performance in the second year. At the discretion of the Department, the award may be divided equally between two qualified candidates. Awarded for standing on year’s work to candidates in Mining Engineering. Founded by the class of Science ‘86 and the Queen’s Mining Club in memory of Robert Hall, a member of Science ‘86. Awarded on the basis of interest in the Engineering Society, participation in intramural or intercollegiate sports and the demonstration of those qualities exemplified by Robert Hall: spirit, fellowship and enthusiasm. The recipient will have passed all the courses of the First Year and maintained a full academic program in the second year. Selection is by the Engineering Society from nominations made by the engineering student body. A replica of the commemorative plaque will be presented annually in March with the award. Established in March 2002 by friends, family and co-workers in memory of Mike Hamze, B.Sc. 1997 (Eng.). Awarded to a student entering the third or fourth year in the Civil Engneering program in the Faculty of Applied Science based on academic merit and community involvement. Applicants should submit a letter of application, along with a resume, to the Head of the Department of Civil Engineering by 31 March. Established by Mr. and Mrs. J.W. Hickey, Marmora, Ontario, in memory of their son, James Hickey, for standing in MECH 213 . Established by John L. Hunter, B.Sc. 1969, in memory of his father, Lawrence M. Hunter, B.Sc. 1936 and awarded to a student entering the third or fourth year of studies in the Faculty of Applied Science, who has made outstanding humanitarian contributions as evidenced through volunteer activities both within and outside of the university environment while maintaining satisfactory academic achievement. Preference will be given to candidates who have not received other University awards of higher value. This award may be received only once by an individual. Students in second year or third year of studies submit their application by letter, accompanied by a resume and two letters of reference, one of which must be from an individual who can attest to the student’s humanitarian efforts and submitted to the Faculty of Engineering and Applied Science by 31 March. Established in May 2005 by the Ingenium Group in memory of Joe Dominik, a Queen’s alumnus and local Kingston Architect. Awarded on the basis of academic excellence to a full-time student entering the third year of study in the Department of Electrical and Computer Engineering in the Faculty of Engineering and Applied Science. Details of these awards are given in the section on Third Year Awards. Established in November 2006 memory of Shirley C. Kennedy, Arts 1940, and awarded on the basis of academic excellence to a full-time undergraduate or graduate student in the Department of Civil Engineering. Selection will be made by the Departmental Awards Committee. Established in March 2012 by KGHM International Ltd. and awarded on the basis of academic excellence and proven leadership skills, to undergraduate students registered in the Geological Engineering program or the Mining Engineering program in the Faculty of Engineering and Applied Science. A letter of application outlining interest and engagement in the mining industry, as well as a resume is to be submitted to the Office of the University Registrar, Student Awards, by 1 March. 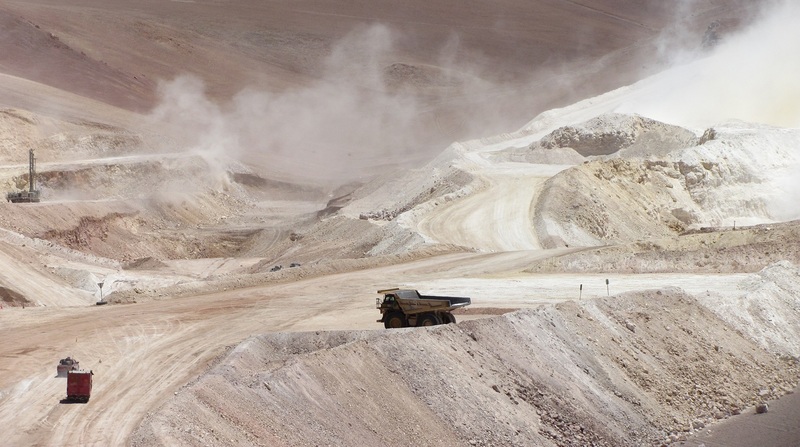 Selection will be made by a Committee comprised of faculty members from the Department of Geological Sciences and Geological Engineering and the Robert M. Buchan Department of Mining. A bequest by Douglas G.H. Wright, awarded to student who attains the highest Grade Point Average in all science and engineering courses in both first and second years of the program. Established by Anne and John Kostuik, B.Sc. Eng. ‘34, and awarded on the basis of academic standing to one student entering the third year and one student entering the final year of the Mining Engineering program. Established by friends and family in memory of Frank B. Lee, B.Sc. 1945. Awarded on the basis of high academic standing to a student entering the third year of any engineering program in the Faculty of Engineering and Applied Science. Founded in memory of Dr. Ian J. MacDonald, Sc. ‘54, awarded to the Mechanical Engineering student completing second year with the highest aggregate mark in the courses in Statics, Kinematics, Dynamics, and Solid Mechanics. Established by the family of the late C.C. MacKinnon, Science ‘36. Awarded to the second year Mechanical Engineering student with the highest standing on the year’s work. Maintained by the Class of Science ‘14, for standing on year’s work. Established in memory of Michele Mainland, B.Sc. ‘97, by family, friends and fellow students to honour Michele’s love of learning and education. Two awards are given annually to students in second and third year Chemical Engineering with the highest overall standing on year’s work. Founded by the late Andrew McCulloch of Thorold. Awarded to the student in second, third or fourth year Engineering and Applied Science who achieves the highest standing in an English course. Established in March 2007 by the McLean family in honour of Kenneth Mclean, B.S.c (Eng. Phys.) 2005, in appreciation for the valuable team experiences and life lessons learned from his active participation with the Queen’s Solar Vehicle Team from 2001 to 2005. Awarded to an upper year student in the Faculty of Engineering and Applied Science who has a cumulative average of at least 65% and who is actively involved on a student design team, with preference to students who are members of the Solar Vehicle Team. Preference will be given to students whose address on admission to Queen’s was from outside the province of Ontario. Application is by letter, along with a written endorsement by a design team faculty member, to the Faculty of Engineering and Applied Science by 31 March. The recipient shall be selected by the Engineering and Applied Science Operations Committee (Scholarships). Awarded, on the recommendation of the Head of the Robert M. Buchan Department of Mining, to a student entering third or fourth year of the Mining Engineering academic plan in the Faculty of Engineering and Applied Science who demonstrates good character and strong industry leadership potential, a keen interest and aptitude for his or her studies in mining engineering and the desire and ambition to truly make a difference in the global metals and minerals industry. Consideration will also be given for the candidate’s involvement in extracurricular activities at Queen’s, school spirit and impace on class camaraderie. Established in April 2012 by Modular Mining Systems and awarded on the basis of academic excellence to an undergrdauate student entering second or third year in the Mining Engineering Option of the Mining Program in the Faculty of Engineering and Applied Science, and to an undergraduate student entering second or third year in the Mining-Mechanical Option of the Mining Program in the Faculty of Engineering and Applied Science. Selection will be made by the Faculty of Engineering and Applied Science Operations Committee (Scholarships). Two awards available. Awarded to a promising student entering the third or fourth year of the Engineering Chemistry program in the Faculty of Engineering and Applied Science or the Honours Chemistry program in the Faculty of Arts and Science, provided that the recipient has first class standing. At the discretion of the Department, the scholarship may be divided equally between two qualified candidates. A Mohan Scholar may be eligible for renewal of the award once only in competition with other qualified candidates. Founded by John McDonald Mowat for standing on year’s work. Established in April 2012 by Sherly Pichler in memory of her husband Frank S. Pichler, B.Sc. (Eng) 1983. Awarded on the basis of academic excellence to students entering third or fourth year in the Robert M. Buchan Department of Mining. Selection will be made by the Engineering and Applied Science Operations Committee (Scholarships). Established under the terms of the will of W.W. Near of Toronto, for standing on year’s work. Established in 2004 by Dr. Emil Nenniger, B.Sc. ‘50 and awarded on the basis of academic excellence to a student entering third year in the Department of Chemical Engineering or Engineering Chemistry in the Faculty of Engineering and Applied Science, who has been selected to participate in an official exchange program at a location outside Canada. Letters of application must be submitted to the Head of Chemical Engineering by 1 March. Selection will be made by the Departmental Scholarships Committee. Founded by Mr. C.W. Nichols in memory of his father, Dr. William H. Nicols. Awarded annually to a student in the Faculty of Engineering and Applied Science or in the Faculty of Arts and Science who has attained the highest standing in CHEM 213. Established by Northeastern Chemical Association, Inc. and awarded to a full-time undergraduate student enrolled in Chemical Engineering, Engineering Chemistry or Chemistry on the basis of academic performance and interest in science issues. Students must submit a letter of application outlining goals, interests, career objectives and experience to the Head of their Department by 15 March, who will then forward nominations by 1 April to their respective Scholarship Committee. Established in April 2006 by Novelis Inc. Two scholarships will be granted to students in the penultimate or final year on the basis of academic excellence. One scholarship will alternate between the School of Business and the Faculty of Arts and Science (Chemistry, Economics, Geological Sciences or Physics). The scholarship will be awarded to a student in the Faculty of Arts and Science in even numbered years and to a student in the Bachelor of Commerce program in odd numbered years. One scholarship will be awarded to a student in any program of Engineering in the Faculty of Engineering and Applied Science. Preference will be given to children of Novelis employees who have applied by letter to the Associate University Registrar (Student Awards) by 1 March. If there are no eligible children of Novelis employees, the selection will be made by the Awards Committee of the faculties. Established by O’Connor Associates Environmental Inc. and awarded to a student entering the third year of the Geological Engineering program, Geo-environmental Option. Selection will be based on a strong academic record, a keen interest in environmental issues, and participation in student activities. The scholarship recipient will be selected by the Geo-environmental Engineering Steering Committee, in consultation with second year instructors. If there is no suitable candidate entering third year, the scholarship may be awarded to a student entering fourth year. Established by Ontario Power Generation and awarded to a student who at the time of application is registered in second year in any program in the Faculty of Engineering and Applied Science. The recipient must be a Canadian citizen or a landed immigrant to be eligible. Selection will be based on academic achievement, strong oral and written communication skills, leadership ability and involvement in extra-curricular activities. The recipient must be a member of the employment equity target groups (women, aboriginal, disabled, visible minority) and cannot hold more than one other award of equal or greater approximate value. Candidates should submit a letter of application to the Head of Departments by 31 January and selection will be made by the Engineering and Applied Science Operations Committee (Scholarships). Established by David Parkes, B.Sc. 1968, and awarded on the basis of academic excellence to a full-time upper year student in the Faculty of Engineering and Applied Science. Details of this award are given the in section on First Year Awards. Established in April 2008 by the Department of Physics, Engineering Physics and Astronomy, and awarded annually to students based on their academic performance in the nationwide Canadian Association of Physicists University Prize Examination. Awarded to first and second ranked students in each of second, third, and fourth year of undergraduate studies in the Department of Physics, Engineering Physics and Astronomy. Selection of award recipients will be based on the recommendation of the Department of Physics, Engineering Physics and Astronomy. Established in November 2007 by the Faculty of Engineering and Applied Science and awarded on the basis of academic achievement to international students participating in the Queen’s University Internship Program (QUIP). Established in memory of Alvin Craig Ross by his father, Mr. A.H. Ross, B.Sc.(Eng.)’36. One scholarship is awarded annually on the completion of the second year and one on the completion of the third year, to candidates enrolled in Mining Engineering, who are Canadian citizens resident in Canada who have demonstrated an interest in the field of extractive metallurgy and have expressed an intention of making a career in the mining industry in Canada. Selection is based on academic standing, character, personal initiative and industry, and reliability. Financial need will only be considered if two applicants exist with comparable other qualifications. Candidates will be recommended to the Engineering and Applied Science Operations Committee by a committee composed of the Dean of Engineering and Applied Science and Head of the Mining Engineering, by 1 May. Awarded for standing on year’s work. Maintained by the Class of Science ‘22, for standing on year’s work. The Science 1946 Memorial Upper Year Scholarship is maintained by the Class of Science ‘46 as a memorial to members who gave their lives in World War II. Awarded on the basis of academic excellence to a student entering second or third year in the Faculty of Engineering and Applied Science. Founded by the class of Science ‘48 in honour of Professor S.N. Graham. Awarded on the completion of the second year to a student with a sound academic record who has demonstrated outstanding performance in extra-curricular activities on campus. Nominations are to be made by Heads of Departments by 31 March, who will then forward their nomination to the the Faculty of Engineering and Applied Science for selection by the Operations Committee (Scholarships). Founded by R.F. Segsworth of Toronto in memory of his brother. Open to a student in any year on the basis of the best essay describing his or her experiences in practical underground mining. Essays to be submitted by 31 March to the Robert Buchan Department of Mining. Awarded on the basis of demonstrated outstanding creativity in the practice of engineering design to an individual or a group of students at Queen’s University who are directly involved with academic or sponsored extracurricular design efforts associated with or funded by the Faculty of Engineering and Applied Science. Established by the family and friends of Robert Evan Smith, a Queen’s Mining Engineer, who died in a tragic mining accident shortly after graduation in 1984. Awarded to a full-time Canadian student entering the third or fourth year. The recipient will be one who conscientiously contributes to all aspects of university life, while maintaining good academic standing and who exhibits cheerful enthusiasm and a positive attitude towards the Mining Engineering program and the mining industry in general. Financial need will also be taken into consideration, as will the recipient’s personality and compassion towards fellow students. Selection will be made by the Head of the Department of Mining Engineering in consultation with appropriate instructors. Open to students in Civil Engineering specializing in building construction. Awarded on scholastic ability and attainment, integrity of character and purpose. Established by a bequest from the estate of William E. White, B.A. (1929), B.A. (Hons) 1930, and Medalist in Geology. Awarded to students in the second year, or students entering third or fourth year of a program leading to B.Sc. degree with a concentration in Geological Sciences in the Faculty of Arts and Science or a B.Sc. degree in Geological Engineering in the Faculty of Engineering and Applied Science. Awards are based on academic achievement and contribution to the Department as judged by the Head of the Department in consultation with the Department’s teaching staff.Awards to second-year students are made in January based on performance in GEOL 211 or 221 and GEOL 232. Awards to third-and fourth-year students are made in the Spring. Maintained by the classes of Science ‘03-‘06 and other friends of W.P. Wilgar, B.Sc. ‘03, for standing on year’s work. Established in September 2008 from the estate of Marion Wonnacott and Arthur Wonnacott, B.A. 1934. Two awards will be made each year, one to a student in Arts and Science who achieves the highest combined average in MATH 280 and 281 taken in the same year and one to the student in Engineering and Applied Science who achieves the highest combined average in MTHE 280 and MTHE 281 . Founded in memory of Joseph Abramsky by his sons, for standing on year’s work. Open to candidates in Mechanical Engineering. Established in May 2002 by Accenture Inc. and awarded to a student entering fourth year in the Faculty of Applied Science. Selection will be made on the basis of academic excellence and leadership in extracurricular activities, such as professional or social organizations, sports, or part-time employment. Preference will be given to students who have had exposure to a consulting business or initiative in the past. Application is by letter with attached resume to the Faculty of Engineering and Applied Science by 31 March for selection by the Operations Committee (Scholarships). Established by Peter Ansley’s family in honour of his father Frederick C. Ansley, B.Sc. (Eng.) 1937 and brother Christopher Ansley, B.Sc (Eng.) 1969, and awarded to a student entering the fourth year of the Civil Engineering program. Selection will be based on academic excellence and contribution to the betterment of campus life through interest in the student chapters of the profession, Engineering Society, campus activities and community affairs. Applications and nominations should be submitted to the Head of the Department of Civil Engineering by 1 March. Selection will be made by the Departmental Awards Committee. Established by the family, colleagues, friends and former students of the late Professor Leonard G. Berry, professor of mineralogy at Queen’s University from 1944 to 1980, as a tribute to his outstanding contributions to mineralogical science and his devotion as a teacher. Awarded, on the recommendation of the Department of Geological Sciences and Geological Engineering, to a senior undergraduate student with a strong academic record and a demonstrated interest in mineralogy. To be eligible, the student must be enrolled in an honours B.Sc. program with a concentration in Geological Sciences in the Faculty of Arts and Science, or in Geological Engineering in the Faculty of Engineering and Applied Science. Details of this award are given in the section on Second Year Awards. Founded in memory of Major K.B. Carruthers, B.Sc., for standing on year’s work. Open to candidates in Mechanical Engineering, Materials option. Founded in memory of Major K.B. Carruthers, B.Sc., for standing on year’s work. Open to candidates in Mining Engineering. Established in memory of Harold M. Cave, M.A. (Queen’s), Ph.D. (Cantab), who taught in the Physics Department from 1930 until years after his retirement in 1967. Two scholarships are awarded annually to students with first class standing, one entering the third year leading to a B.Sc. degree in Engineering Physics and one entering the third year of a B.Sc. (Honours) program in Arts and Science with a concentration in Physics. The awards will be based on achievement in experimental work as judged by the Department of Physics. Established by the Canadian Marconi Company, this scholarship is awarded annually to a student with high academic standing in the third year of an Electrical or Computer Engineering program in the Faculty of Engineering and Applied Science. Established by the family in memory of Harold Arthur Cohen, B.A. 1928, B.Sc. 1930 (Engineering Physics). 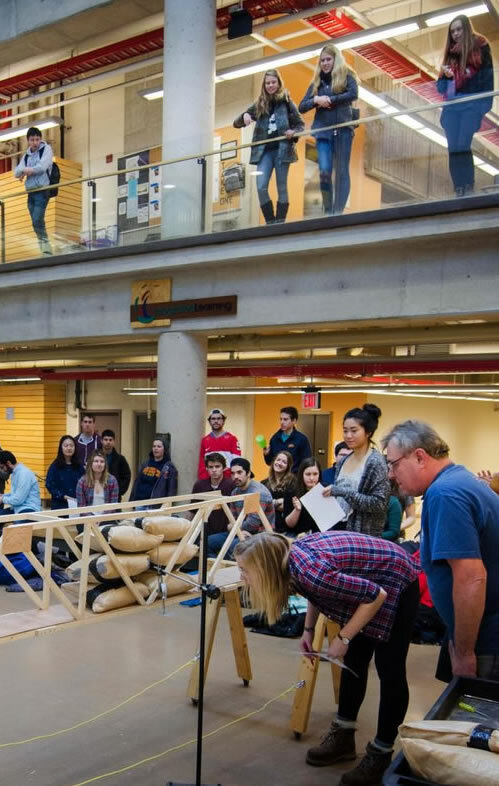 Awarded to a student entering the fourth year of Engineering Physics who shows the most promise for inventiveness and discovery in Engineering Physics, as determined by the Chair of the Engineering Physics program. Established by the John Deere Foundation of Canada and awarded on the basis of academic merit to a student entering the final year of the Mechanical Engineering program in the Faculty of Engineering and Applied Science or to a student entering the final year of the Commerce program in the School of Business. The award will be presented to a student in Mechanical Engineering in even-numbered years and to a student in Commerce in odd-numbered years. Established by J. Allan Donaldson, B.Sc. 1956, and awarded to a student entering the fourth year in either an Honours B.Sc. program in the Faculty of Arts and Science with a concentration in Geological Sciences or in the Geological Engineering program in the Faculty of Applied Science. If there are no eligible recipients the award can be given to a student entering third year. The recipient of the award will have demonstrated an involvement and ongoing interest in the broad area of Precambrian geology, as demonstrated by coursework and/or summer field employment. The recipient will be chosen by the Head of the Department of Geological Sciences and Geological Engineering, in consultation with the Chairs of Arts and Science for Geology and Engineering and Applied Science for Geological Engineering. Established in October 2012 by Jamie Archibald and the Rock Mechanics Group of the Robert M. Buchan Department of Mining to honour those in the mining industry who strive to augment explosives technology training and enhance the safety of all who participate in explosives applications within this industry. Awarded on the basis of academic excellence in MINE 321 (Drilling and Blasting) to students entering year four in the Mining Engineering program in the Robert M. Buchan Department of Mining. Selection will be made by the Faculty of Engineering and Applied Science Operations Committee (Scholarships). The will of C.W. Drury, B.Sc. (Queen’s)’09, provides for this scholarship. Open to students entering third or fourth year of the Materials Option in Mechanical Engineering. Awarded on recommendation of the Department of Mechanical and Materials Engineering mainly for academic excellence but consideration will be given for evidence of additional traits desirable in a professional engineer. Awarded to a student, with at least second class standing, entering preferably the third or alternatively the fourth year of the Engineering Physics program whose total awards, administered by Queen’s University, will not exceed twice the tuition fees for Canadian residents. The award is restricted to women until such time as 50 percent of the students registered in Engineering Physics are women. Applications should be made by 31 March to the advisor of Engineering Physics, who will make the nomination on behalf of the Department. Established to commemorate the 1986 International Exposition held in Vancouver, and the Innovative Vehicle Design Competition held during the exposition, in which the team from Queen’s University received fourth prize. Awarded on the recommendation of the Dean in consultation with the Engineering Society to a student entering the final year of a program in Mechanical Engineering, Electrical Engineering or Computer Engineering. Selection will be on the basis of academic standing, a demonstrated ability in innovative engineering design, and participation in extra-curricular activities. Applications must be submitted to the Faculty of Engineering and Applied Science for selection by the Operations Committee (Scholarships) by 31 March. Provided from funds accumulated by members of the unit since World War I. Awarded to student in Civil Engineering standing highest in third year course in hydraulics. Awarded by Department of Mechanical Engineering to student entering fourth year Mechanical Engineering; consideration given to academic status and need. Established in March 2002 by friends, family and co-workers in memory of Mike Hamze, B.Sc. 1997 (Eng.) Awarded to a student entering the third or fourth year in the Civil Engineering program in the Faculty of Engineering and Applied Science based on academic merit and community involvement. Applicants should submit a letter of application, along with a resume, to the Head of the Department of Civil Engineering by 31 March. Established through the estate of Mr. Wm. Roy Hardick, B.A. 1933, M.A. 1934. Two scholarships are awarded on the basis of academic excellence: one scholarship to an undergraduate student entering fourth year in the Faculty of Arts and Science with a concentration in Mathematics and Statistics and one scholarship to an undergraduate student entering fourth year in the Faculty of Engineering and Applied Science in the Mathematics and Engineering program. Established by the family and friends in memory of Mark Latham (B.Sc. ‘83), a Queen’s Engineering Chemist. The purpose of this award is to recognize a student with personal characteristics similar to those of Mark Latham. The purpose of this award is to recognize students with personal characteristics similar to those Mark Latham. It will be awarded to students in good academic standing entering the fourth year of the Faculty of Engineering and Applied Science. The recipients will be well rounded students combining enthusiasm and leadership with integrity and a sense of humour. Candidates for this award will have made significant contributions to Queen’s and the community. Selection shall be made by the Operations Committee (Scholarships) of Engineering and Applied Science based on nominations provided by the Engineering Society. Given by Reuben Wells Leonard for standing on year’s work in any program in engineering. A minimum average of 80 percent is required. Details of this scholarship are given in the section on Second Year Awards. Established in memory of Kogi Lon Mayell, B.Sc.’91, by his family and friends and awarded on the basis of academic performance to a student entering the final year of the Mechanical Engineering program. The recipient should also be involved in student affairs, sports, and other extracurricular activities and show a willingness to assist fellow students. The selection of the candidate will be made by the Head of Mechanical Engineering in consultation with members of the Department. Established in memory of Edward Hugh McLellan, Sc.’80. Awarded annually to the Civil Engineering student with the highest standing in CIVL 340 . Established in memory of Andrew M. McMahon Sc. ‘59, a former president of the Engineering Society and member of the Board of Trustees. Awarded annually in Engineering and Applied Science on the basis of academic achievement to a third year student in the top 25% of the class who is entering fourth year. Preference will be given to students who have demonstrated an interest in business studies or economics. The recipient will show a strong record of participation in student organizations and government, extra curricular and community activities and interest in promoting the well-being of the University. The recipient will be chosen by a Selection Committee, to be chaired by a member of the family, consisting of the Associate Dean (Academic), one member of the business community and a family member. Candidates should submit a letter of application and supporting documents to the Faculty of Engineering and Applied Science by 31 March. Established in May 2007 by Bill James, LL.D 1990, and awarded on the basis of academic excellence and demonstrated leadership qualities to a student entering the fourth year of the Mining Engineering program in the Faculty of Engineering and Applied Science. Students should apply by letter, with a resume, to the Buchan Department of Mining by 31 March. Founded by the late Susan Near of Toronto. Two prizes to be awarded, one to the student in Arts and Science with the highest standing in CHEM 397, and one to the student in Applied Science with the highest standing in CHEM 398 or CHEM 399, provided the mark obtained in each case is at least 80 per cent. Established under the terms of the will of W.W. Near of Toronto, for standing on year’s work; one awarded to a student in each of the following programs: Engineering Chemistry, Chemical Engineering and Civil Engineering. Established by the late Mrs. Peggy Ethel Newbury. Awarded in the Fall on the recommendation of the Department of Geological Sciences and Geological Engineering for outstanding achievement in geological field work, with at least second class standing in the previous year’s academic work. Details of this award are given in the section Second Year Awards. Awarded to a student in either Engineering and Applied Science or Arts and Science who has obtained a first class standing in a third year laboratory course in experimental physics and who, in the opinion of the department, shows the most promise of future achievement in experimental physics. Established in April 2002 by friends and family in memory of Mark Pettit, B.Sc. (Mechanical Eng.) 2000. Awarded annually to a student in the third year of the Mechanical Engineering program in the Faculty of Engineering and Applied Science who has applied and been accepted into the Queen’s Undergraduate Internship Program (QUIP). The candidate should demonstrate an enthusiasm for engineering and a proven record of helping his/her classmates, as well as a solid academic record. Nomination forms are available from the Department of Mechanical Engineering and must be submitted to the Department by 15 April. Selection of the candidate is made by the Head of the Department of Mechanical Engineering in consultation with faculty and students. In memory of William Thomas Pound, who graduated from Queen’s University in Mechanical Engineering in 1929. Awarded to a third year student upon completion of MECH 323 Machine Design. The award is directed to the individual who has demonstrated an exceptional understanding of machine design principles, and an outstanding aptitude for creative and innovative design. The selection of the candidate will be made by the Head of the Department in consultation with the course instructors. Established in November 2007 by the Faculty of Engineering and Applied Science and awarded on the basis of academic achievement to international students participating in the Queen’s University Internship Program (QUIP). Value: variable on the basis of available funding and duration of internship. Founded by Major J.H. Rattray, M.C., for general proficiency in Mining. Aptitude as well as academic standing to be taken into account in making the award. To be awarded annually on the basis of standing at the end of the third year to a student registered in the fourth year of a B.Sc. program in engineering physics or an honours B.Sc. program with concentration in physics who does not already hold an award of higher approximate value. Esablished in January 2012 by James F. Archibald and the Rock Mechanics Group of the Robert M. Buchan Department of Mining. Awarded on the basis of academic excellence in the third year course in Applied Rock Mechanics to a student entering the fourth year in Mining Engineering in the Robert M. Buchan Department of Mining. Selection will be made by the Faculty of Engineering and Applied Science Operations Committee (Scholarships). Details of these awards are given in the section on Second Year Awards. Maintained by the class of Science ‘44 in memory of members who were killed in World War II. Awarded on basis of extra-curricular student activities. Candidates must have passed all work of year. Established by his family and friends in memory of Walter Thumm, Professor at Queen’s until his death in 1977. By his understanding and enjoyment of physics, by his writing and by his own example, he inspired countless students and teachers of physics. Awarded on the recommendation of the Physics Department to a student beyond the second year who has indicated his/her intention of pursuing a career in teaching physics, preferably at the high school level, and who has a strong aptitude in physics as well as a demonstrated commitment to teaching. Established in memory of Howard Vance, B.Sc. ‘70. Awarded annually to the Civil Engineering student proceeding to the final year who, in the opinion of the Department of Civil Engineering, has made the greatest improvement in his/her academic work from second to third year. Established in October 2010 by the Women’s Association of the Mining Industry of Canada Foundation and awarded on the basis of academic excellence to students entering year four in the Robert M. Buchan Department of Mining or the Geological Engineering program in the Department of Geological Sciences and Geological Engineering. Selection will be made by the Faculty of Engineering and Applied Science Operations Committee (Scholarships). Details of these awards are given in section on Second Year Awards. Established by Dr. A.R. Bader in memory of Martin Wolff, for standing on year’s work. Open to candidates in Civil Engineering. Founded by the Scots Run Fuel Corporation of Morgantown, W.Va., in recognition of Professor Arkley’s interest in the proper methods of purchasing, analyzing and burning coal. Awarded to a fourth year Mechanical Engineering student or group of students who submits the best paper, supported by an oral presentation, on a subject of the students’ choice and with the approval of the Mechanical Engineering Department. Selection will be made by the Department of Mechanical Engineering by 31 March. Established by A.R. Bader, M.Sc. (Queen’s), Ph.D. (Harvard). Awarded to a student in Arts and Science or in Engineering and Applied Science who has registered in the fourth year and obtained the highest Grade Point Average in Chemistry 311 or Chemistry 345. Established by J.G. Parrett, B.Sc.’89 and W.R. Sherwin, B.Sc.’89 in memory of the late George Christie. The awards are presented to individual students or groups of students in Mechanical Engineering on the basis of their performance in the area of design and product modification in their fourth year Mechanical Engineering Design Project. The selection of award winners will be made by the Department. Awarded annually to a 4th year student in Civil Engineering who has contributed to the betterment of campus life through interest in the Engineering Society, Civil Club, campus activities and community affairs. The successful candidate must have maintained a satisfactory academic record. Applications and nominations should be submitted to the Head of the Civil Engineering Department by 31 January. Awarded for combined standing in courses MINE 325 and MINE 444. Details of these awards are given in section on Fourth Year Awards. Established by the family, friends, colleagues and students of the late Dr. Willard Geldard Henry, Professor of Metallurgical Engineering 1962-1981, Head of Department 1977-1981, as a tribute to his outstanding contribution to metallurgical science, his excellence as a teacher and above all, his concern for his fellow man. The scholarship is awarded in the fall on the recommendation of the Head of the Department of Mechanical and Materials Engineering, following consultation with departmental colleagues and students, to a student registered in the fourth year of the Materials Option in the Mechanical Engineering program on the basis of the scholarship, character, industry and contribution to furthering the well-being of the student body. On occasion the scholarship may be given to an exceptional student registered in the third year of the above program. Established by the family and friends of Joan M. Lund, a geophysics student in the Department of Geological Sciences at the time of her death. Awarded in the Fall term in the fourth year of either the Applied Geophysics option, Faculty of Engineering and Applied Science, or the B.Sc. (Honours, Geological Sciences) with Physics program, Faculty of Arts and Science to the student who has contributed most to the geophysics program in the previous years. The recipient will be decided by the Chairpersons of the Engineering and Applied Science and Arts and Science Curriculum and Liaison committees in consultation with the student members of those committees. Established in May 2007 by family, friends, colleagues and students of the late Dr. William Brydon Fraser Mackay, HD.Sc (1993). Awarded to a student in the fourth year of the Materials Option in the Department of Mechanical and Materials Engineering on the basis of academic excellence and contributions to furthering the well-being of the student body by way of active participation in volunteer activities, project teams, and professional and social activities within the Department. Application is by letter, with resume, to be submitted to the Department of Mechanical and Materials Engineering by 1 October. Awarded annually to a fourth year student of the Faculty of Engineering and Applied Science who displays conspicuous leadership and management skill in a student-organized faculty activity which has educational value. An example of such an activity might be that of Convenor of the Science Formal. The recipient of the award is to be selected by the Dean of Engineering and Applied Science and the presentation will be made during the first quarter of each calendar year. Established in January 2012 by Jamie Archibald and the Rock Mechanics Group of the Robert M. Buchan Department of Mining to honour those in the mining industry who strive to augment rock mechanics training and enhance the safety of all who participate in this industry. Awarded on the basis of academic excellence to a student in the fourth year thesis course in the Robert M. Buchan Department of Mining, who has submitted a thesis that relates to practical applications of rock mechanics principles in mining, or to the development of fundamental applications of rock mechanics practice that may advance studies of enhanced mine safety. Selection will be made by the Faculty of Engineering and Applied Science Operations Committee (Scholarships). Established by friends, colleagues and students of Alan Bauer, former Head of the Department of Mining Engineering, as a tribute to his outstanding contributions in teaching and research to the department. Awarded on the recommendation of the Head of the Department to fourth year graduating students in Mining Engineering at Queen’s. Two awards will be made annually for the thesis presentation component of course MINE 434 . Awards will be presented on the basis of technical content and presentation skills. Founded by the Class of Mechanical Engineering ‘76 and friends in memory of Colin Thomas Watson Bayne, B.Sc. ‘76. Awarded to the graduating Mechanical Engineering student who, in the opinion of the Department, has shown most proficiency in innovative design. A memorial book prize established by the Alumni and Alumnae Associations of Queen’s in memory of the late Diana Blake, who was Assistant Chief Librarian at Queen’s and Vice-President of the Alumni Association at the time of her death in February, 1975. Awarded annually in turn to a graduating student in the Faculty of Arts and Science, the Faculty of Engineering and Applied Science, and the School of Business. The appropriate Society will be asked to nominate a student who has attained at least second class standing and who has made a significant contribution to campus life prior to 1 March of the graduating year. Nominations will be received and selection of the recipient will be made by the appropriate Faculty Awards Committee. Established by the family of Dr. Wallace Graham Breck, Sc. 50, M.Sc. 51, PhD (Cantab University), and awarded annually to the graduating student who is the recipient of the University Medal in Engineering Chemistry in the Faculty of Engineering and Applied Science. Selection will be made by the Awards Committee of the Department of Chemical Engineering and approved by the Faculty of Engineering and Applied Science Operations Committee (Scholarships). Named in honour of Professor H.G. Conn, who has contributed much to Queen’s University. It is awarded to graduating students who have rendered valuable and distinguished service to the Engineering Society and the University in non-athletic, extra-curricular activities. To be awarded to a Mechanical Engineering student, in the year in which the student graduates, who has the highest average on the core courses in Thermodynamics. Awarded by the Canadian Society for Mechanical Engineering to the student graduating in Mechanical Engineering who has achieved the highest overall cumulative average in 2nd, 3rd and 4th years. Established by his family in memory of the late H.M. (Bert) Edwards, B.Sc. ‘44, MSCE (Purdue), faculty member in Civil Engineering 1946-1985, as a tribute to his outstanding contribution to the Civil Engineering Department and the Faculty. Awarded annually to the graduating student in Civil Engineering who, in the opinion of the Head of the Department and the Civil Engineering Scholarship Committee, has demonstrated notable proficiency in all fourth year courses. Details of this award are given in the section Fourth Year Awards. Given by the class of Science ‘55 as a memorial to Dean D.S. Ellis. Awarded to graduating student who, in the opinion of classmates, has contributed to the University life through extra-curricular activities and athletics and has maintained satisfactory academic standing. Awarded by the Engineering Society to honour a student in the fourth year who is not a member of the Engineering Society Executive and who has contributed considerably to the welfare of the Engineering Society. Awarded to the graduating student in Engineering Physics whose Engineering Physics thesis is judged, by the examiners, to be the best on the basis of design, engineering content, innovation and presentation. Awarded to a student graduating from the Electrical and Computer Engineering Department who has achieved the highest average in Electrical Engineering courses of all years. Average is based on marks of final examinations and not on results of any repeated courses. Awarded to student graduating in Chemical Engineering who, in the opinion of classmates and department staff, is the outstanding graduate in Chemical Engineering. Awarded annually to a student graduating from the Electrical and Computer Engineering Department who has achieved the highest honours standing in the program. Awarded to a graduating student in the Department of Civil Engineering to encourage travel during the summer preceding the start of a graduate program at any University, in order to give the recipient an appreciation of practical problems in their field of interest. Application is by letter, describing the studies they wish to pursue and the places they would like to visit, to be submitted to the Department of Civil Engineering by March 31. Selection will be made by the Departmental Scholarship Committee. Established by Science ‘92 in honour of their classmate Boyd Lemna. Awarded annually by the Engineering Society to a mature graduating student(s) who has completed an engineering degree in four years. Preference will be given to students who are parents. Awarded to graduating student in program in Mathematics and Engineering who has highest average on courses in Mathematics in final year. Established in memory of Thayer Lindsley and awarded to the graduating student in Geological Engineering in the Faculty of Applied Science, or Geological Sciences in the Faculty of Arts and Science, who has contributed the most to his or her year as judged by staff and students in the Department of Geological Sciences and Geological Engineering. Established in memory of Michele Mainland, B.Sc. ‘97, by family, friends, and fellow students to honour Michele’s love of learning and education. Awarded to a student graduating in Chemical Engineering with the highest academic standing and who is continuing to post-graduate studies either at Queen’s or at another institution. Candidates should submit a letter of application to the Head of the Department by 1 April detailing their intended course of study. The recipient will receive the award in the Fall Term on confirmation of registration in graduate school. Established in memory of Michele Mainland by family, friends and fellow students in recognition of Michele’s efforts and courage. Awarded to a graduating Chemical Engineering student who, in the opinion of classmates and department staff, best exemplifies Michele’s personal qualities: persistence and cheerfulness in the face of adversity, sense of adventure, tenacity, courage and helpfulness to others. Awarded annually to graduating student in Civil Engineering who, in opinion of the instructors, has demonstrated notable proficiency in field of structural engineering during third and fourth years and whose academic proficiency has not been identified by a General Proficiency Medal or other distinctive honour. Established by colleagues and friends in recognition of the contribution made by Dr. James D. McCowan to the Integrated Learning Initiative in the Faculty of Engineering and Applied Science. Awarded to a graduating student or graduating members of a student team that have made a significant contribution to the Integrated Learning Initiative during their time in the Faculty of Engineering and Applied Science. Selection will be made by the Engineering and Applied Science Operations Committee (Scholarships). Established by the McKean family in memory of Fleetwood K. McKean, Science ‘40. Awarded to the student in Mining Engineering who best demonstrates good written communication in the final year thesis. Selection will be made by the Department of Mining Engineering by 31 March. Established in memory of Edward Hugh McLellan, Sc. ‘80. Awarded annually to the Civil Engineering student with the highest aggregate standing in CIVL 342 and CIVL 456. The Glen Chandler Milbourne Memorial Scholarship has been established by his family, friends and colleagues to perpetuate the values Glen demonstrated during his time at Queen’s. The scholarship is awarded on the basis of academic performance to a student graduating from the Materials Option in Mechanical Engineering, who best exemplifies Glen’s interpersonal and communication skills, his dedication to teamwork and sportsmanship and his interest and proficiency in the metallurgical profession. 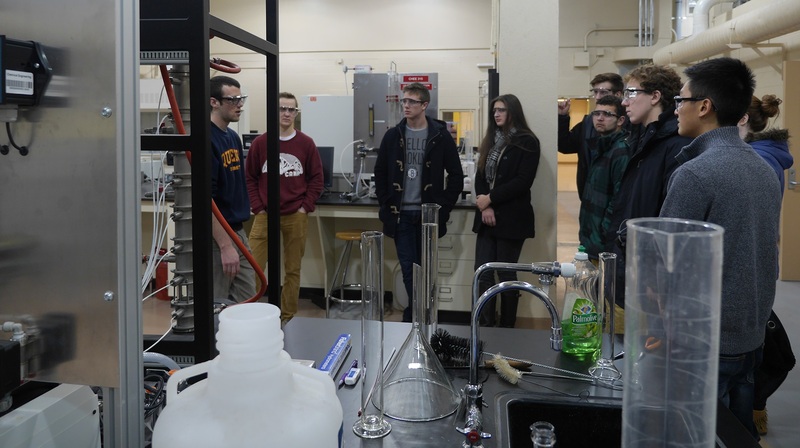 In the case of students being equally eligible, preference will be given to a student who is continuing to graduate studies in the Materials and Metallurgical program at Queen’s. The selection is made by the Head of the Department in consultation with faculty and students. Established by Professor L.A. Munro, who for many years was a member of the Department of Chemistry at Queen’s. The award is presented annually for general proficiency to a graduating student of the Engineering Chemistry program. Awarded annually on the recommendation of the Head of the Department of Civil Engineering, in consultation with geotechnical engineering instructors, to a graduating student in Civil Engineering or Geological Engineering (Geotechnical Option) who has demonstrated notable proficiency in the area of geotechnical engineering. Given by the Ontario Professional Engineers Foundation of Education, and awarded to the student with highest academic standing in the final year. Selection will be made the Engineering and Applied Science Operations Committee (Scholarships). Established in memory of Nicholas J. Paithouski (B.Sc. ‘40) by his son N. Joseph Paithouski (B.Sc. ‘80) and friends and awarded to the graduating engineering student who has demonstrated the most consistent improvement in academic performance. The cumulative annual point spread in sessional average over the most recent eight terms will be used as a basis for determining the winner. Selection will be made by the Engineering and Applied Science Operations Committee (Scholarships). Founded by Lewis J. Patterson, retired President of Quebec Cartier Mining Company, who taught management within the Mining Engineering Department for 10 years. Awarded, on the recommendation of the Head of the Department, to a student graduating in Mining Engineering who has obtained the highest combined standing in fourth year mine management courses. Founded by Dr. E.T. Sterne and awarded annually to student graduating in Chemical Engineering who has highest aggregate standing in Chemical Engineering subjects taken throughout undergraduate years. Awarded annually to a student of the graduating class who has made the highest standing throughout the four year program. A student who has failed a year is not eligible. Selection will be made by the Engineering and Applied Science Operations Committee (Scholarships). Established by the Canadian Section of the Society of Chemical Industry to encourage scientific education in the universities and to recognize student achievement in scientific fields. Awards are given to the students with the highest standing in the final year in each of the four fields of chemical engineering, engineering chemistry, honours chemistry, and honours biochemistry, provided that they have first-class averages and have completed their program in the normal number of years. The award is a plaque bearing the crest of the Society of Chemical Industry and the winner’s name, program, University and year. Established in December 2005 by the Sullivan family and awarded to a graduating student in Chemical Engineering or Engineering Chemistry in the Faculty of Engineering and Applied Science or Chemistry in the Faculty of Arts and Science on the basis of outstanding achievement for a research project in Chemistry. Selection will be made by the Departmental Awards Committee and approved by the Awards Committee of the Faculty of Engineering and Applied Science and the Faculty of Arts and Science. Details of this award are given in the section on Third Year Awards. May be awarded annually in each department to student of the graduating class who has highest average in all courses of third and fourth years, provided average is 80 percent or higher. Given as a memorial to Peter R. White by his friends and awarded to graduating student in Engineering and Applied Science who has made the most outstanding contribution to the creative arts and the development of inter-personal relations both on and off campus. Nominations will be submitted by the Engineering Society to the Engineering and Applied Science Operations Committee (Scholarships). Established by family, friends, colleagues and students of the late Edward B. Wilson, Professor of Mining Engineering 1964-1983, as a tribute to his outstanding contribution to the Mining Department and excellence as a teacher. Awarded annually on the recommendation of the Head of the Department to the fourth year Mining Engineering student producing the highest rated undergraduate thesis on a topic involving operations research or computer applications in Mining. Established by H.F. Zurbrigg, Science ‘31, in memory of his parents and awarded to a Canadian graduate of the Faculty of Engineering and Applied Science who is continuing at Queen’s either as a post-graduate in any faculty or as an undergraduate in the faculties of Law or Medicine. The award is made on the basis of scholarship and proficiency in the use of the English language. Applicants must submit by 31 March a letter to the Chair of the Engineering and Applied Science Scholarships Committee detailing their background and career objectives. The recipient will receive the award in the Fall Term on confirmation of registration.